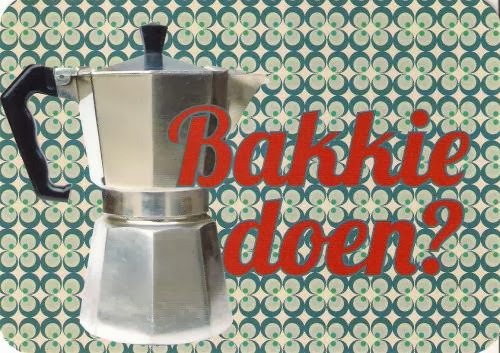 One Postcard a Day: Bakkie Doen? Postcard NL-2316706 from the Netherlands shows a popular phase "Bakkie doen?" in Dutch, meaning "Let's have a cup of coffee?" There was a short documentary film titled "Bakkie doen!" that was made during the 48 Hour Film Project at Breda, the Netherlands in 2011, when 37 teams of filmmakers went out for a weekend of filmmaking in Breda. Based on a randomly assigned genre, a character, a prop and a line of dialogue, filmmakers would wrote, shot and edited a movie in 48 hours. 30 out of the 37 finished on time. All completed movies were shown at Pathé Breda during the International Film Festival Breda on March 27th, 2011. "Bakkie doen!" won the awards of the Best Directing, the Best Female Acting, and the Public Choice. It was a Runner-up for the Best Film. Las Vegas will also host the 48 Hour Film Project around April, 2014.